Hair-smoothing leave-in treatment for frizzy or curly hair. Keratine Thermique Travel-Size Blow Dry Primer is rated 4.6 out of 5 by 59. Apply a quarter size amount of Keratin Thermique blowdry primer to towel-dried hair. Detangle with a comb, but do not rinse. Blowdry, then heat style as usual to achieve desired look. Rated 1 out of 5 by jernst from Worst smell ever Bought this product a few days ago, its performance is that not impressive but worse than that is its horrible smell. Cheap mix of cough syrup and dollar store cloth softener that will last forever in your hair, annoying everyone around you and competing with your cologne and your hability to breath freely. Stay, away, do, not, blind, buy. Rated 5 out of 5 by Susan J from Fantastic! This product is one I will never be without. I order a few at a time to protect myself from that happening. It has changed my hair. It keeps it beautiful and smooth. Rated 5 out of 5 by Letha3 from Love I absolutely love this product. I'm not big on blowing my hair out. I let it air dry while braided and then add this before I flat iron. One of my favorites for flat silky hair. Rated 1 out of 5 by Lexyroxy from Bring Back Oleo-Curl This product is horrible and not as moisturizing as Oleo-curl. That was the best product ever and I don't know why you would change it. This product smells horrible and I will have to find a new product as this does not work for me. My hair has very frizzy. Rated 5 out of 5 by KMS814 from Faithful Follower First of all i have to say aside from the price, I really adore kerastase products. I find they work well for my hair type giving me extra shine and sometimes that extra bounce of "life." I have thick, highlited hair that has a wave and likes to frizz in humidity. I purchased keratin thermique last summer for the first time and it is a prime staple to my hair routine- I do switch this with nutri thermique in the winter months which I feel gives me extra hydration. This product controls frizz really well and keeps my strands smooth and hair nourished, I do use heat almost everyday for styling. This is a winner and I would absolutely recommend this to friends and family! Rated 5 out of 5 by cranraspberry from Fantastic even for fine, thin hair I have very fine, thin hair with damage from highlights gone wrong - it is very difficult to comb through the ends even after using a conditioner. I had experimented with similar creams from other brands, but those would without fail weigh my hair down and make it look greasy the next day or make me lose what little volume I have left. This stuff is AMAZING. It smells amazing, it works beautifully and it does not weigh hair down the least! Even my fine sad hair! I use only about a pea sized amount on the problematic parts, and the results are almost instantly untangled, shiny hair. Maskeratine Travel-Size Hair Mask Moisturizing hair mask for frizzy hair. 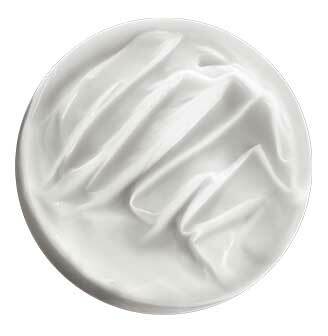 Oléo-Curl Travel-Size Hair Cream Hair smoothing cream for curly hair.